Home » Blog » Practical advices » Can moldavites get wet? I have received a few questions whether moldavites can soak up moisture. Their owners were primarily afraid of unsuitable storaging and cleansing. So is humidity dangerous for moldavites? Moldavites formed millions of years ago thanks to an impact of a big meteorite. 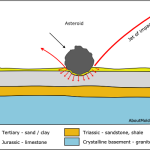 The meteorite caused an eruption of so called Parent material in the place of impact, which melted in the air and formed moldavites, natural glass, tektite (a rock formed by impact of an extraterrestrial item). Most of them landed in the area of the contemporary Czech Republic and after they landed, they were exposed uto the influence of the local climate and, especially, water. Moldavites flew in the former watercourses to areas where we can find them today. Some of them were shifted only in the Tertiary geological period, some of them also in the Quaternary period. Moldavites settled in sediments from sand, rocks and clay. The humid sedimential environment had key impact on moldavites. Water which soaked into the ground all the way to the moldavites wasn´t clear and contained lots of minerals. Thanks to these minerals the water had acidic or alkaline character, depending on the place. Concentration of the dissolved substances was very low, but millions of years did the job and the water etched the moldavite surface. This is how the typical moldavite surface was formed. So back to my initial question: Can water be dangerous for moldavites and can moldavites become wet by the impact of water? No. 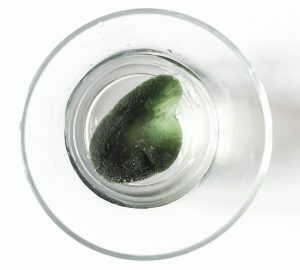 If you soak a moldavite in a mineral water and leave it there for a thousand years, it will have an impact on the moldavite 🙂 Similarly, if you soak a moldavite in phosphoric acid, it will etch the surface and the impact will be immediate. 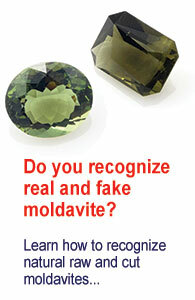 However, regular water or a non-abrasive detergent will not harm the moldavite. Moldavites can´t soak up moisture either, as they have no pores. Even though they contain tiny bubbles, water cannot soak in. It is similar as with artificial glass. ← Moldavites are running out – future?